During November, Palmeira Health Services and Palmeira Home+Health, along with the national home care and hospice community, honor the millions of nurses, home care aides, therapists, and social workers who make a remarkable difference for patients and families they serve. 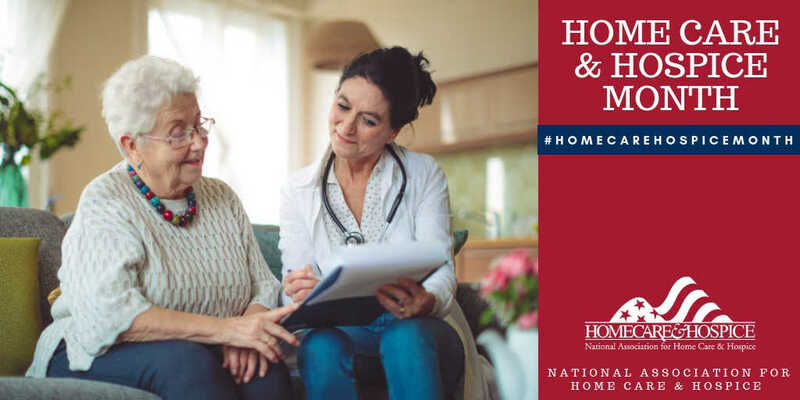 To recognize home healthcare efforts, the National Association for Home Care & Hospice (NAHC) annually calls upon all Americans to commemorate the power of caring, both at the home and in their local communities by celebrating November as Home Care Month. With 10 thousand Americans turning 65 every day, the need for health care will continue to rise, and costs will continue to skyrocket. This is where home care comes in. As the preferred choice for most patients, it also offers the greatest cost savings. For example, Medicare pays nearly $2,000 per day for a typical hospital stay and $450 per day for a typical nursing home stay. Meanwhile, home care costs average less than $100 a day and helps many U.S. seniors remain independent at home, enrich their lives, and keep in touch with those they love. In 2017, home care providers traveled 7.6 billion miles to deliver services. 90% of Americans want to age in place, and home care is the preferred method of health care delivery among the disabled, elderly, and chronically ill.
More than 5 million Americans each year receive home-based health care. According to Barter, patients are referred for home health care treatment for many reasons including after hospitalization, rehabilitation, and worsening symptoms or complications from medical conditions such as COPD, congestive heart failure, renal failure and diabetes. Home-based treatment may also be needed for medications, oxygen usage and open sores or wounds. For more information about the National Association for Home Care & Hospice, Home Care & Hospice Month, and Home Care Aide Week (November 12-18), visit NAHC.org.